Education loan in India – get students loan details from Dena Bank and how to approach techniques. 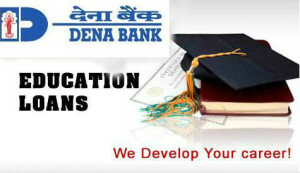 Know about Eligibility criteria, education loan interest rates in Dena Bank & documents required. Also find the whole details of maximum loan amount, courses which are eligible get Study loan. Information is given below,. The purpose of Dena Vidhya laxmi education loan is to financial support for deserving students with good academic records. Student should have acquired admission in any of the Indian or abroad universities. Regular courses/diploma courses conducted by major autonomous institutions. Regular courses/diploma degree like Pilot training, Shipping, Aeronautical approved by Civil Aviation/Shipping. Job related professional/Technical U.G courses/ P.G courses such as MCA, MS, MBA, offered by reputed abroad universities. INTEREST WILL BE CHARGED DURING MORATORIUM PERIOD.